Prime Minister Binyamin Netanyahu held security consultations over the last few hours in the wake of a series of terrorist attacks in Judea and Samaria Thursday. Netanyahu demanded that the demolition of the homes of the terrorists be accelerated and that the demolitions take place within 48 hours of the terrorist attacks. He instructed the continuation of the effort to capture the murderers and to thwart the infrastructures behind the attacks. In addition, it was decided to increase administrative detentions of Hamas terrorists in Judea and Samaria, to strengthen IDF forces in Judea and Samaria, to reinforce residents' security, to set up roadblocks to prevent similar attacks, to encircle the town al-Bireh, where the terrorists behind the deadly attack at the Givat Assaf Junction came from, and to revoke permits from family members of the terrorists and their collaborators. The Prime Minister also decided this evening to regulate the status of thousands of homes in Judea and Samaria which were built in good faith but whose legal status is uncertain. The Prime Minister's Office said that "the regulation of the rights to the homes allows thousands of residents to have infrastructure of public buildings, educational buildings and religious buildings, whose construction was not possible for decades." 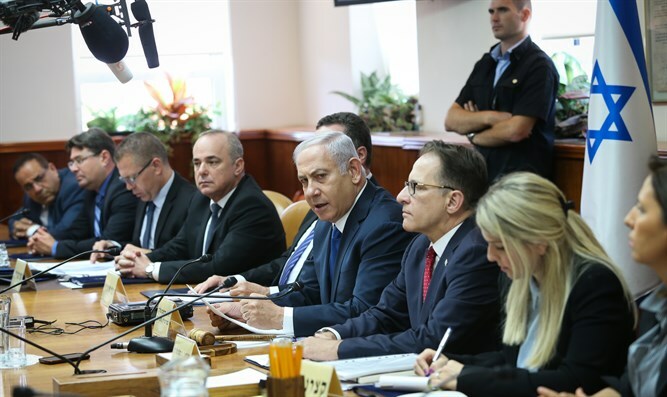 In addition, Netanyahu appealed to the Attorney General to take legal steps to enable the construction of 82 new housing units in Ofra, and also ordered the establishment of two new industrial zones near Avnei Hefetz and Beitar Illit. "They are thinking of uprooting us from our land, they will not succeed," Netanyahu said. Earlier Thursday, two IDF soldiers were killed and two other people wounded in a shooting attack at the Givat Assaf junction. Later, a soldier was injured in a ramming attack near Psagot. Another ramming attack was thwarted at the site of the Givat Assaf shooting. Thursday's attacks follow a stabbing attack in the Old City of Jerusalem Wednesday night and a shooting attack at the Ofra Junction on Sunday which resulted in the death of a newborn baby.